The Informal Sector Service Centre (INSEC) has handed over its election preliminary observation report to the Election commission on November 26. The report is based on the information received from its observers in 32 districts for the first phase parliamentary and provincial election held on November 26. INSEC has presented the data of violation of election code of conduct in commission and based on the data the major violation of code of conduct is from state party. 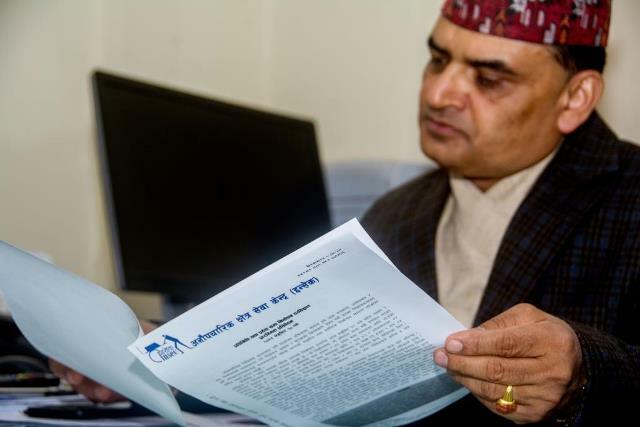 According to the report presented to the commission’s secretary Begendra Raj Sharma Paudel by INSEC chairperson Subodh Raj Pyakurel, 104 incidents of code of conduct violation is by the government. While receiving the report, secretary Paudel accepted that the commission had some flaws while holding the peaceful election and said that in coming days such weakness will be corrected. He further said that the second phase of election on December 7 will be peaceful. According to the data presented by INSEC, 39 incidents of code of conduct violation was reported by the left alliance, 57 arrest by state party, 163 incidents of beatings, 17 incidents by NJP and federal socialist forum, 122 by democratic alliance,13 by RJP, 11 by RPP, two by independent candidates and 66 by an unidentified group. After the enforcement of election code of conduct, the cabinet ministry has violated the code of conduct by doing decision restricted by the CoC.